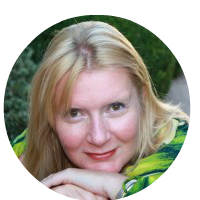 Lisa Hayes is The Love Whisperer with more than a decade of experience as a relationship coach and licensed hypnotherapist. Using the principles of the Law of Attraction and the insider tools of a hypnotherapist (as well as insights from her own love life), Lisa guides women to find the love they want, within and without. Lisa is the author of Score Your Soulmate and host of Relationship RX radio show. She lives in Olympia, WA with her fabulous husband, amazing sons and four dogs. She is much more balanced (no pun intended), thanks to a devoted yoga and meditation practice. Find her online at LisaMHayes.com.